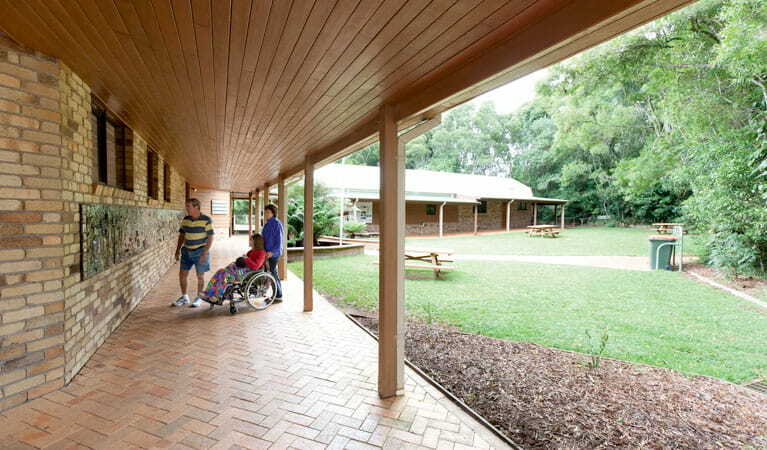 The Dorrigo Rainforest Centre is the best place for Dorrigo National Park visitor information and school excursion visits. 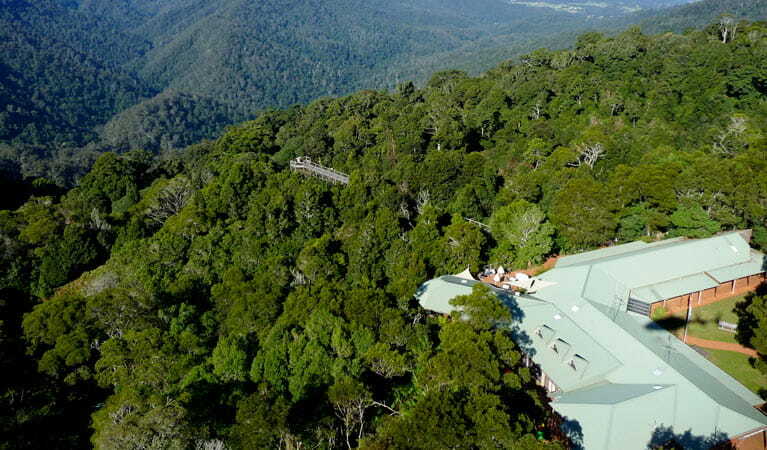 Book a guided tour, take the Skywalk for stunning views out to Coffs Harbour or relax in the Canopy Cafe. 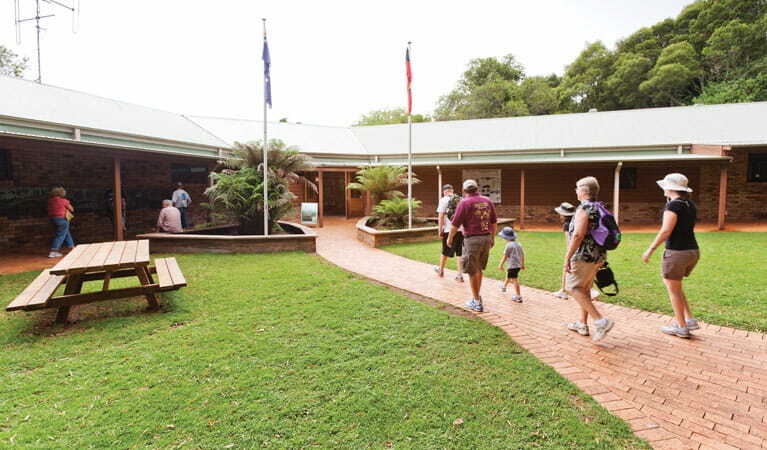 Dorrigo Rainforest Centre is the best place to get great tips and advice on planning your visit to the park, including which walking tracks will best suit your needs. You can find out about guided tours and take a look at the park heritage exhibition. The Rainforest Shop offers a great range of books, gifts, postcards and souvenirs relating to the rainforest environment. Don't forget to take a walk above the rainforest canopy along the elevated boardwalk. And if you need a bite to eat, the award-winning Canopy Café has delicious lunches, gourmet cakes and great coffee. Alternatively, you can enjoy a picnic at the centre’s grassy picnic area, with its free electric barbecues. Many of Dorrigo National Park’s walking tracks begin here, including the Wonga walk and the Lyrebird link track. If you spot our roving ranger these school holidays, make sure you say 'hi'. 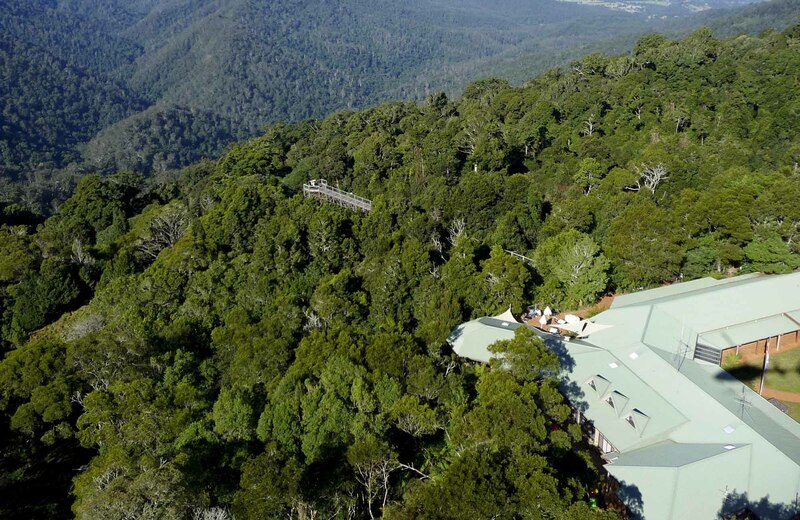 You can ask them any questions you have about Dorrigo National Park. 'Rainforest birds revealed' is an easy stroll that takes you from Dorrigo Rainforest Centre into the heart of the rainforest to places where different birds like to hang out. Download the app and discover the lovable personalities and quirky habits of wildlife along the way.